Did you know that road rage is actually considered a crime? In the last 7 years there have been 218 murders and over 12,000 injuries that occurred as a result of road rage. Next time you decide to flip the bird to the driver cruising next to you, remember that you could be hit with a massive fine or even put straight into jail! Road rage and aggressive driving are often used interchangeably. However, although they both result from stressful and tense situations, the subtle differences are important to recognize. Most angry and hostile drivers behind the wheel might believe that they have road rage, however they are actually only considered to be aggressive drivers. But, what is the turning point for when aggressive driving can ultimately lead to road rage? 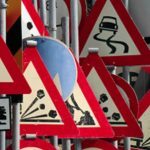 You may think that road rage is solely characterized with angry driving behaviors, however it is actually considered to occur when a traffic incident escalates into a far more serious and threatening situation. For example, a person may become so angered over an agressive driving incident that they might decide to act irrationally and retaliate with violence. So, for those drivers who believe that they have road rage; have you ever become so mad from a traffic incident that you reacted with violence? If not, then you are most likely only considered an aggressive driver! According to the National Highway Traffic Safety Administration, aggressive driving is deemed a traffic offense, while road rage can be considered a criminal offense! 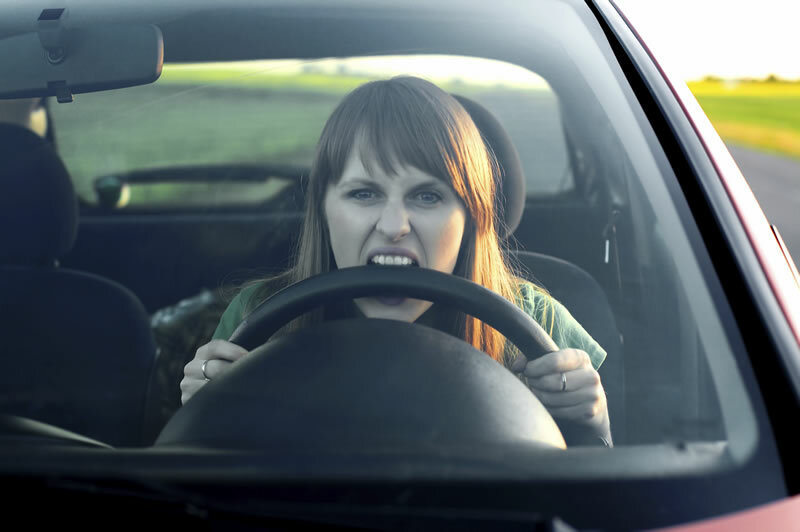 Aggressive driving occurs when an individual commits a traffic offense that endangers other people or property, while road rage is an assault with a motor vehicle provoked by an incident that occurred on the road. Road rage can occur when a driver leaves their vehicle to scream at another driver and can be categorized with behaviors such as provocative gestures, cursing, and tailgating cars. And although it is rare, physical violence has been known to occur. Road rage and aggressive driving both account for a substantial amount of deaths, accidents and injuries on the road that could easily be prevented. Although these driving situations may appear harmless, they can both lead to dangerous and horrifying consequences. What are some appropriate ways to keep yourself or others calm during the onset of road rage? 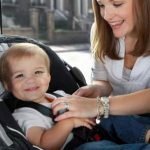 There are many useful methods to help prevent that overwhelming rage-filled explosion that many drivers endure while sitting behind the wheel of their car. These following tips can help keep you and others calm on the road, in order to avoid the risks of escalating road rage. #1. Understand that the other driver committing road rage is only human. In some cases, drivers view the road as a form of competition where they can prove that they are in control by demonstrating their “superior”, “righteous” and “aggressive” skills. Their behavior is not excused, but just understand that as humans, we must have patience for one another. #2. Slow down, move over and allow the other driver to pass. This will help you avoid any direct contact with the other angry driver and prevent you from becoming involved in a dangerous situation. Most likely, the other driver is in a hurry and will speed off aggressively past you. #3. Use breathing exercises to stay calm. Taking deep breaths can reduce your heart rate, lower your blood pressure, and help keep you relaxed and unruffled. So, the next time the driver behind you starts excessively honking or flips you the bird, stay calm, take a deep breath and remember to set a good example. It is really important to understand that road rage can be controlled. We all have the ability to choose to stay calm in hostile driving situations.. As licensed drivers, we have the responsibility to drive safer, and to always be aware of our surroundings. Remember, a calm driver is a safer driver.